Chalet 25m² Gitotel 5pers. Surface (except terrace): 25 m2. WC, shower, washbasin, equipped kitchen. Covered terrace with garden furniture and 1 chaise longue. Parking on the site (suitable for 1 vehicle). Dishes, pillows and 1 duvet per bed provided. Chalet 32m² Gitotel 4pers. Surface (except terrace): 32 m2. Chalet 35m² Access 4pers. Surface (except terrace): 32 m2. Chalet 32m² Gitotel 6 pers Surface (except terrace): 32 m2. 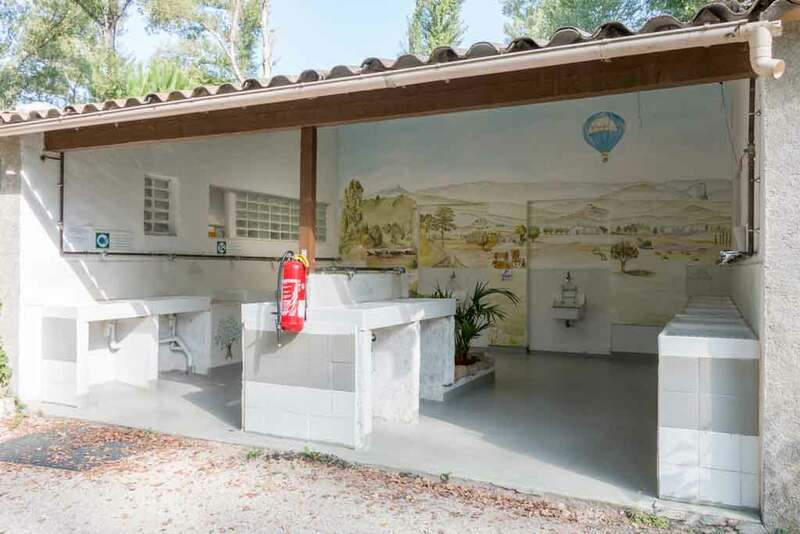 Chalet 32m² piloti 6 pers. WC, shower, washbasin, equipped kitchen. Mobil Home 23m² IRM 4pers. Surface (except terrace): 23 m2. Mobil Home 27m² IRM 4pers. Surface (except terrace): 27 m2. Mobil Home 29m² IRM 6pers. Surface (except terrace): 29 m2. Mobil Home 32m² IRM 6pers. Surface (except terrace): 32 m2. Mobil Home 40m² Ohara 6pers. Surface (except terrace): 25 m2. Mobil Home 32m²Ohara 4pers. Surface (except terrace): 25 m2. Emplacement 100m² Classique 100 m2 minimum with or without electricity. Emplacement 150m² Grand Espace from 150 m2 to 230 m2 with or without electricity. Emplacement 100/150m² Confort from 100 m2 to 150 m2 with water, electricity and evacuation.